Vivek Prahlad is a Tech Lead at ThoughtWorks Studios, where he helps build Twist, a next generation Functional Testing tool. He has been with ThoughtWorks for the past 6 years. 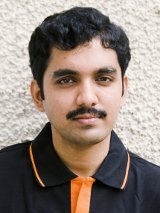 During his career, Vivek has worked as a Technical Lead, Agile Coach and Project Manager. Vivek is also the author of Frankenstein, an Open Source testing tool for Swing applications.